The Earth-imaging satellites lifted off on top of a Long March 4C rocket at 0322 GMT on March 31 (11:22 p.m. EDT on March 30) from the Taiyuan space center in northern China’s Shanxi province, China’s state-run Xinhua news agency reported. The trio rode the three-stage Long March 4C rocket into polar orbit, flying south from the Taiyuan launch base to deploy the three Gaofen 1-series spacecraft at an altitude of around 400 miles (645 kilometers). The new satellites, designated Gaofen 1-02, 03 and 04, join a similar Gaofen 1-type spacecraft launched by China in 2013. 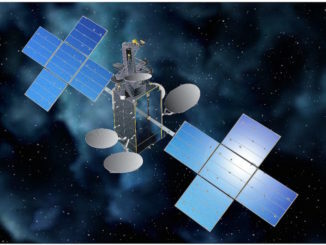 The Gaofen 1 satellites are designed for missions lasting around six years, and they carry cameras capable of imaging Earth’s surface with a maximum resolution of around 2 meters, or 6.6 feet. The spacecraft were manufactured by China Spacesat, a subsidiary of the China Aerospace Science and Technology Corp. — CASC — the government-owned prime contractor for the Chinese space program. China’s Gaofen satellites are part of the China High-Resolution Earth Observation System, or CHEOS, an analog to Europe’s Copernicus program of Sentinel Earth observation satellites. Other Gaofen satellites provide different types of environmental data, including all-weather radar imagery and atmospheric measurements. 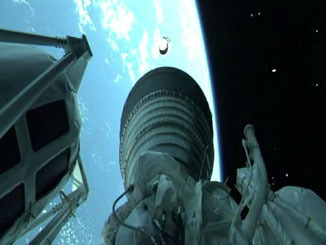 The Gaofen 1 satellites each weigh nearly 1,800 pounds — about 805 kilograms — at launch. The four Gaofen 1 spacecraft operating in coordination can image the same location on Earth at least once every day, according to information about the satellites released by CASC. 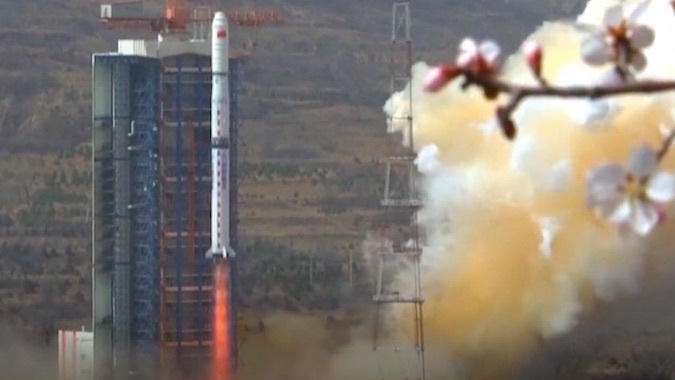 China has successfully launched nine Gaofen satellites of different types since 2013, and another Gaofen environmental craft was lost in a launch failure. The launch of three new Gaofen 1 satellites Saturday marked the 10th orbital launch by China this year, and the 31st worldwide. 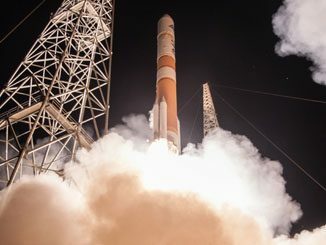 Rockets launched from the United States have also flown 10 times so far in 2018, combining missions conducted by SpaceX and United Launch Alliance. China plans up to 40 space launches this year, including another test flight of the heavy-lift Long March 5 rocket after a failure during a demonstration launch last year. China will also launch a lunar rover to attempt the first landing on the far side of the moon by the end of 2018, and numerous military reconnaissance, scientific, meteorological and navigation satellites are also planned for liftoff this year.